This match was on Sept 1, 1977 at the Oval and included 4 T&T players - DeLeon, Llewellyn (who scored one of the goals), Spann, and Russell Teixeira. 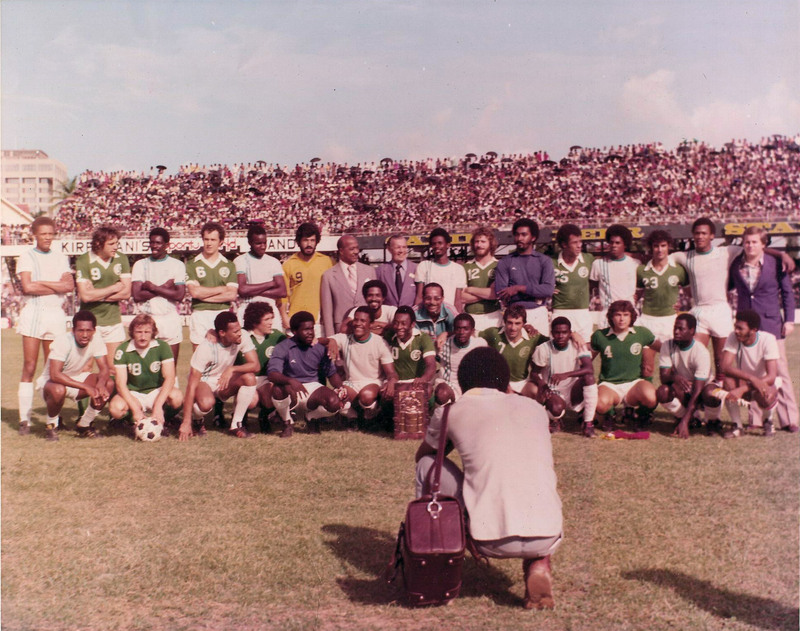 Back Row Standing - From Left: Ernst Jean Joseph (Haiti), Giorgio Chinaglia (9), Hugh Bell (Jamaica), Franz Beckenbauer (6), Leroy Spann (T&T), Erol Yasin (19), Sir Ellis Clarke, Ken Galt (TTFA president), Eric Alleyne (Barbados), Bobby Smith (12), Edmund Leilis (Suriname), Carlos Alberto (25), Wilfred Jacobs (Curacao), Rildo (23), Arsene Auguste (Haiti). Front Row Stooping - From Left: Leroy DeLeon (T&T), Jadranko Topic (18), Russell Teixeira (T&T), Ramon Mifflin (15), Orville Edwards (Jamaica), Jose Sabin (Martinique), Pele (10), Ricky Goddard (Barbados), Tony Field (7), Sammy Llewellyn (T&T), Werner Roth (4), Arnold Zebeda (Suriname), Remi Olmberg (Suriname)-Capt. 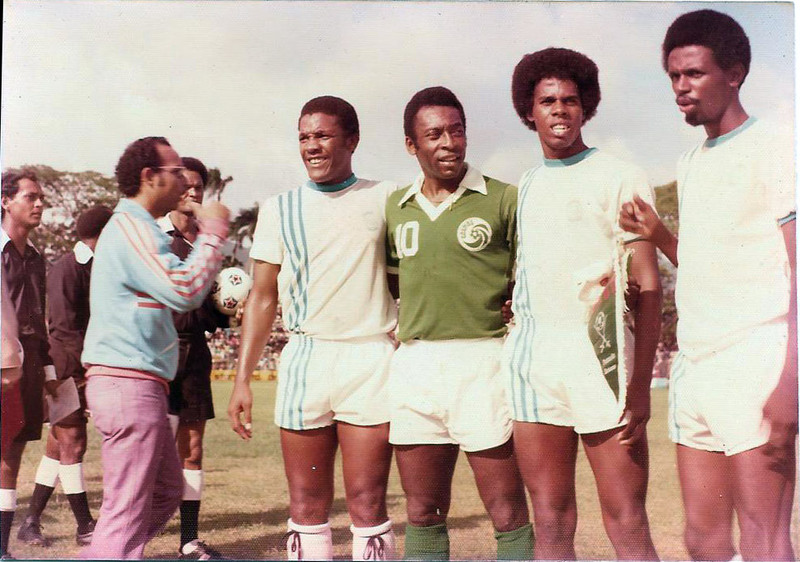 E-man, that is Sir Ellis Clarke, President of T&T at the time, in the middle next to Yasin and also greeting the players lower down. I ent know who de man next to him is nah. Next to Ellis is Ken Galt, TTFA Pres at the time. Olmberg and Zebida were excellent players. How they did not go to Holland is beyond me. I can't remember the score in this game. 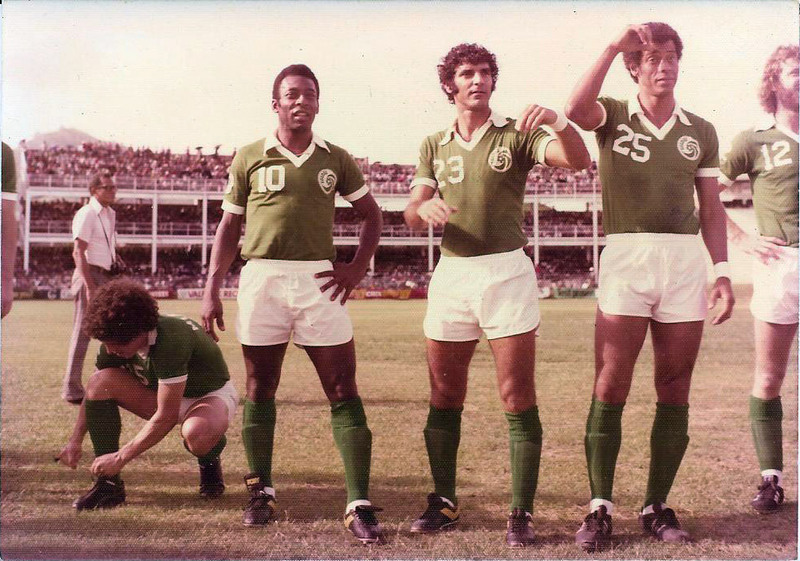 But there was and incident between Ricky Godard and Carlos Alberto. Correct me Flex, Tallman. But Rickey got a red card for striking Carlos. Ricky claimed Carlos spit at him. Guys, Ricky was quite an excellent player. Plenty speed. Could play both left and right side. He and Sammy were close. I did not see that game, but I could imagine that Carlos could not keep up with his speed. 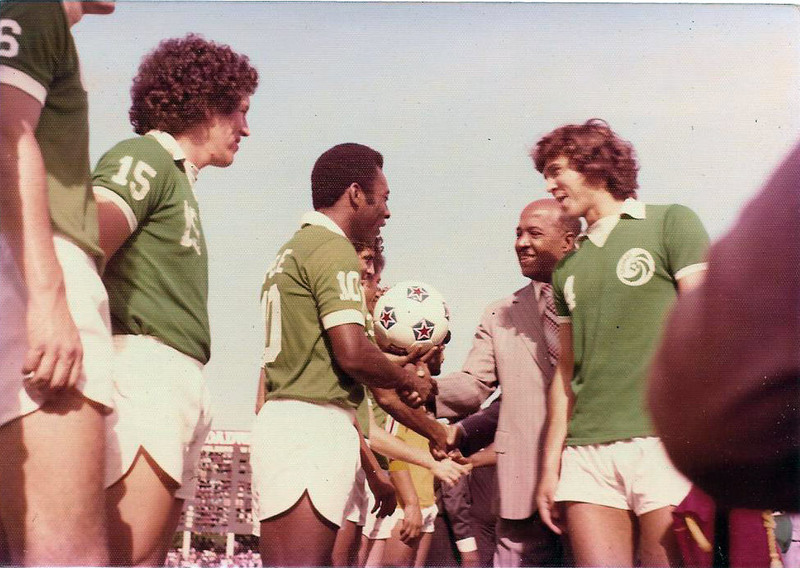 The New York Cosmos, 1977 champions of the North American Football League, treated a sellout 30,000 crowd this evening with a five-two victory over a star-studded Caribbean team at Queens Park oval here. 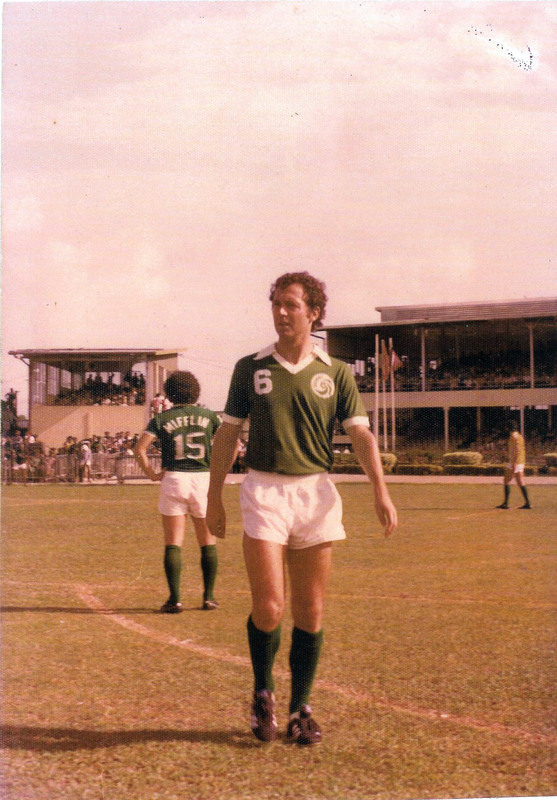 The Cosmos, with a number of former World Cup players and valued at a total of more than four million United States dollars, led four nil at half time. Italian Giorgio Chinaglia opened the scoring in the tenth minute with a sensational flick from field's Deft left-side cross. Ten minutes later, Tony Topic made it two nil when he pounced a loose ball to blast it past Surinam's goalkeeper, Leilis. "King" Pele, who was playing his farewell match in these parts, made it three nil in the, 21st minute with a neat flick over the goalie's head. Chinagalia got his second goal in the 42nd minute when he made no mistake with a penalty kick. The penalty followed when the Cosmos star was brought down by Remy Olmberg of Surinam. 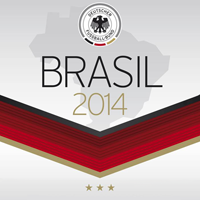 The Caribbean stars, playing together for the second time reduced the score in the 48th minute with a penalty. Substitute Leroy Spann of Trinidad was brought down by Smith and Olmberg made no mistake with the ensuing kick. Then Noel Llewellyn of Trinidad reduced the deficit in the 62nd minute with a classy goal when he hit home on the volley a Spann leftside cross. Thanks for the correction E-man! For some reason the pix not coming up on my work comp. GOLD! Thanks for this one, E-man! Pony football boots was the worse. Never like them. 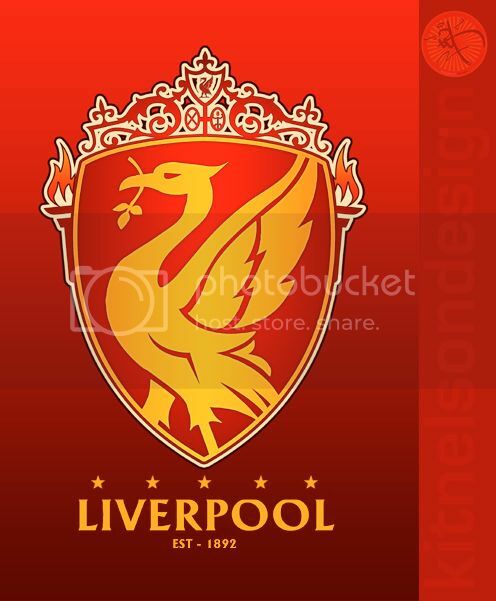 I sure Pele boots was Puma stitched over with the Pony insignia! That look like quite an occasion. Two of the best ever in T&T, what a treat. Lets have another from the archives, E-man!